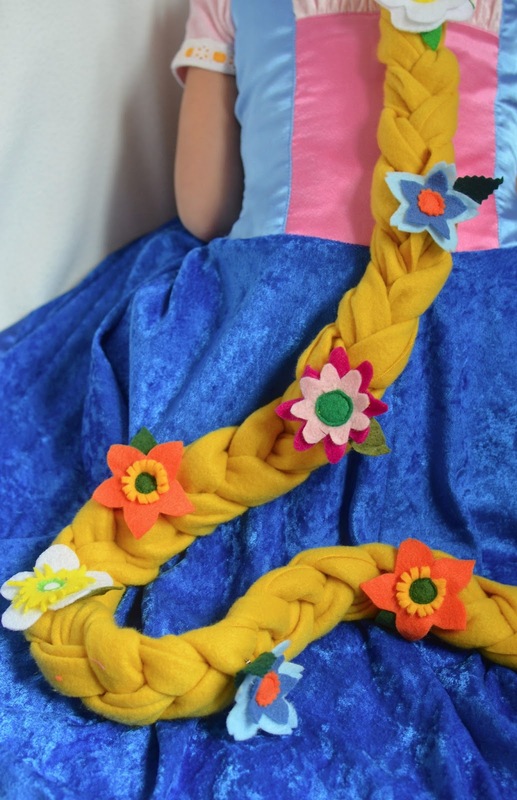 Of all my handmade birthday gifts-for-other-people, the most requested is this Rapunzel wig. And by "requested", I don't mean that my girls suggest I make it for their friends; I mean the friends themselves ask my girls to ask me. Or they get their mothers to telephone me and put in a good word. 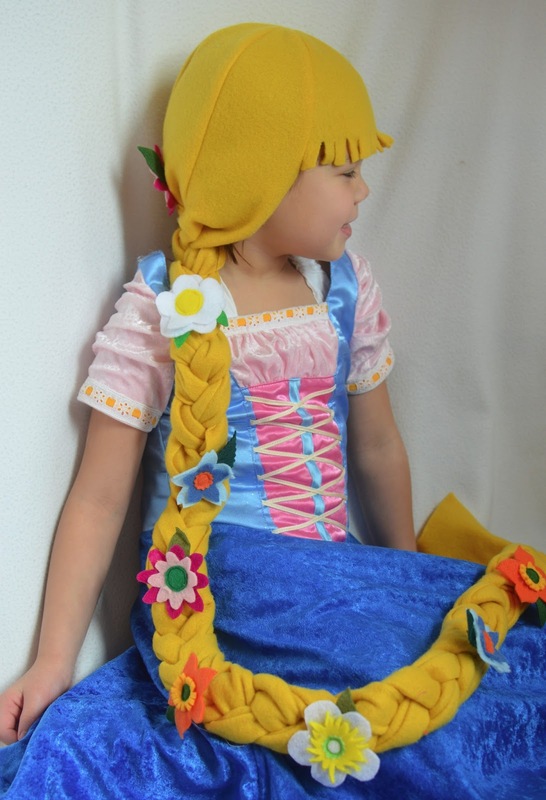 Or (as one girl did at Emily's birthday party) they whisper shyly to me, "Please can you make me that Rapunzel wig for my birthday when it comes?" 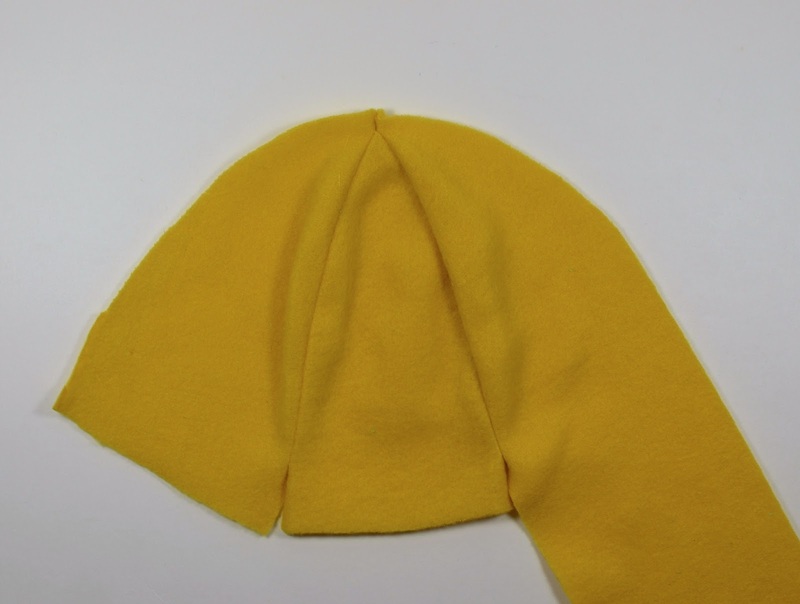 I am always happy to oblige because it's such an easy, quick and inexpensive thing to make, plus I always appreciate the courage it takes for a little kid to actually ask someone to make something for them. To really ask - and not in the demanding, self-entitled way that some kids (and you know which ones I mean) do, but with a bit of um-ing and uh-ing and blushing and the huge grin when I reply that it would be my absolute pleasure to. 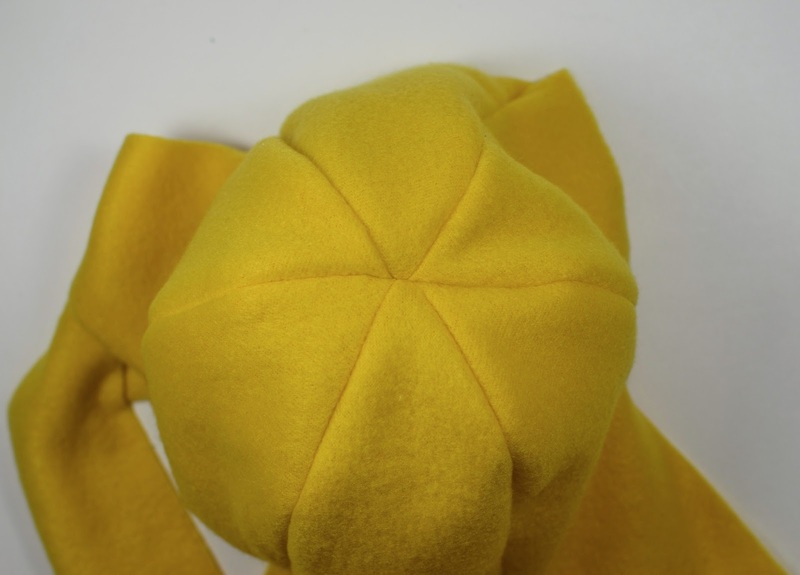 I've made so many of these wigs in the past and realized I've never shared the tutorial! This week, I made a wig for Kate's best friend and decided I'd slow down and take some photos for you. First, you'll need the template, unless you want to draft your own. This one fits Kate but, really, the fleece it's made of stretches to accommodate many sizes of heads. It even fits on my head, if a bit snugly. As for the amount of fabric you'll need, I'm going to say at least a yard. You won't need the full width (60") of that yard, but you will need the full length. 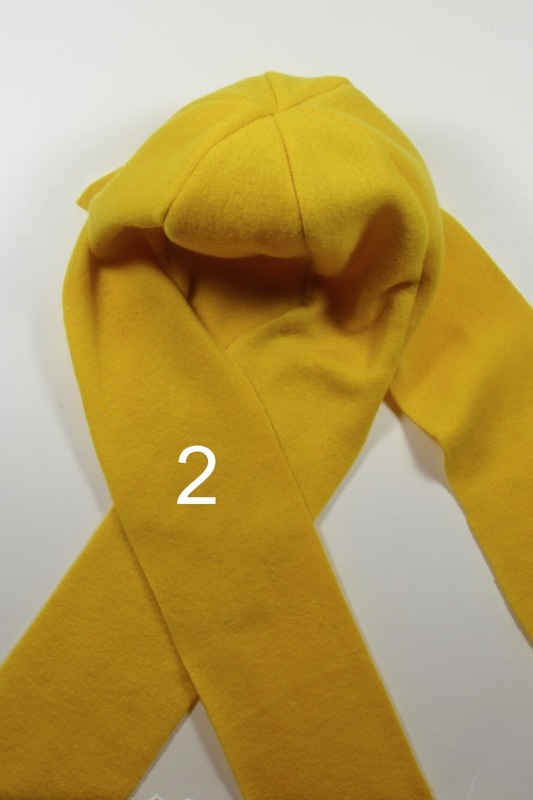 In fact, if you can afford it, buy two yards because that will give you a two-yard-long wig. 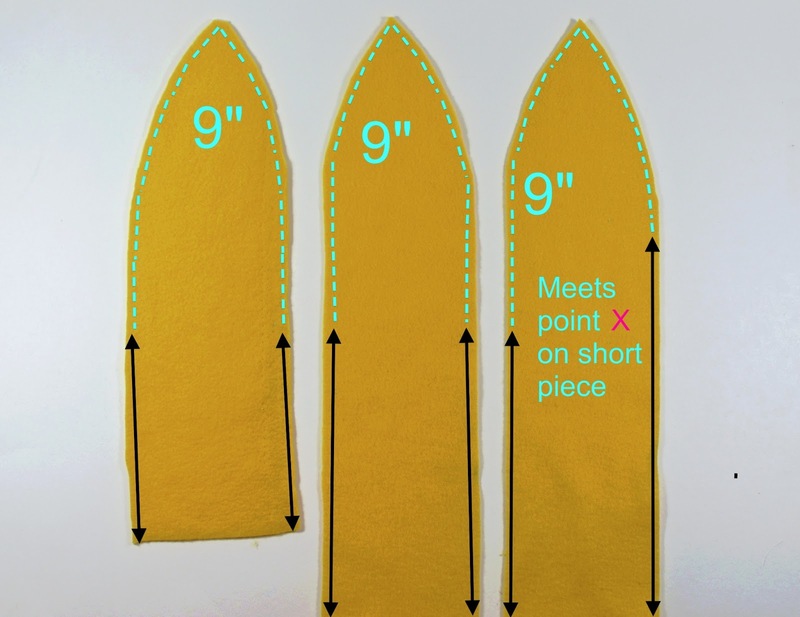 The length of the longest panel (L) in the template plan is the length of fabric you bought. I used 2 yards, so L = 2 yards. The 60" width will give you about 4 wigs. You'll need to cut out six panels, some longer than others. 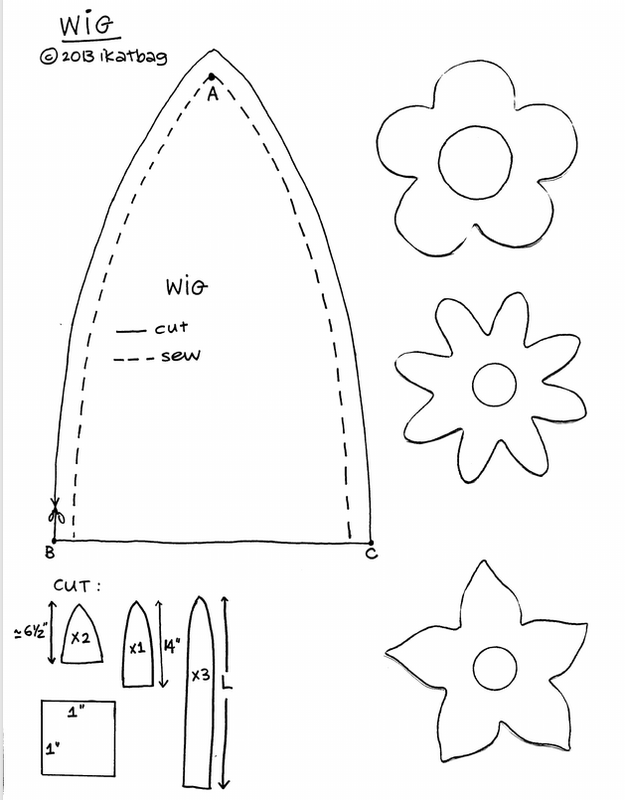 The cutting plan is on the template sheet. 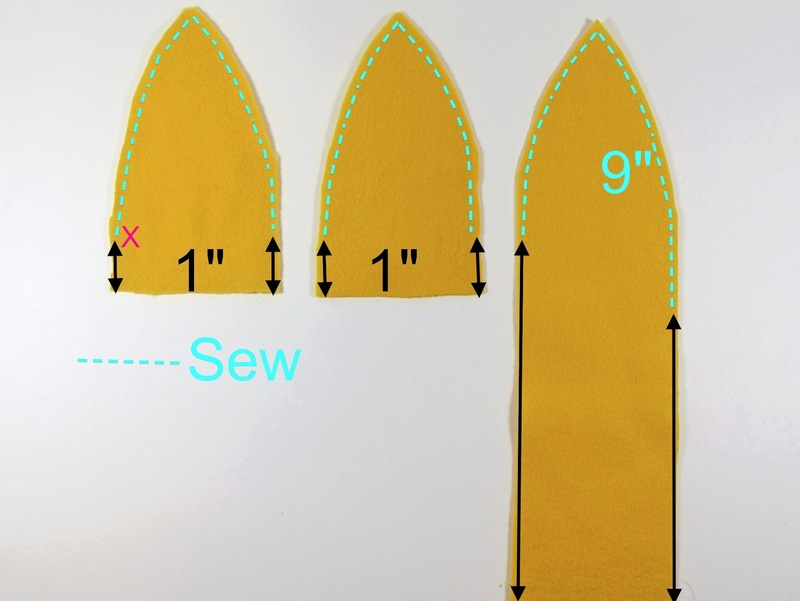 Note that, for once, the 1/4" seam allowances are INCLUDED. Shocking! 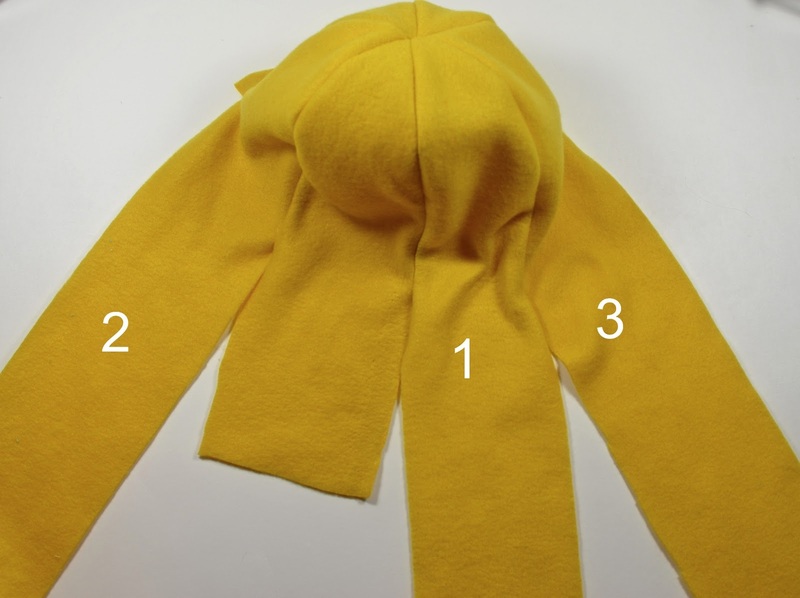 Also note that the stretch direction of the fleece should be sideways i.e. 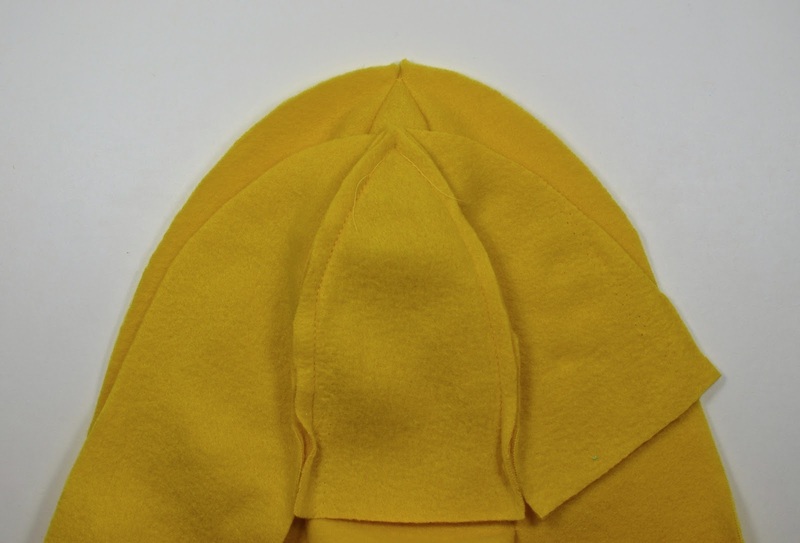 the fabric should stretch around the circumference on the wearer's head and not vertically from crown to chin. Here are the six panels, in the arrangement they will be attached to each other. Here's a close-up of the intersection of those seams. Repeat for the other three panels to make the other half of the wig. 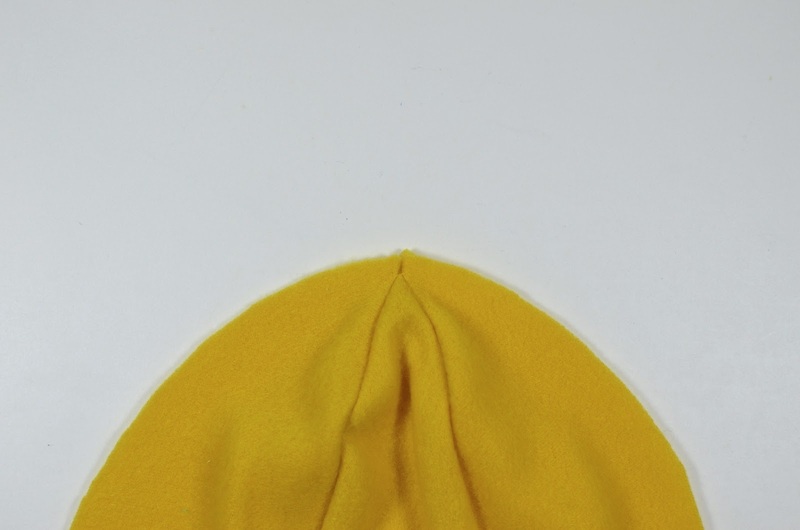 and sew around the rounded edge, according to the stitching guides. 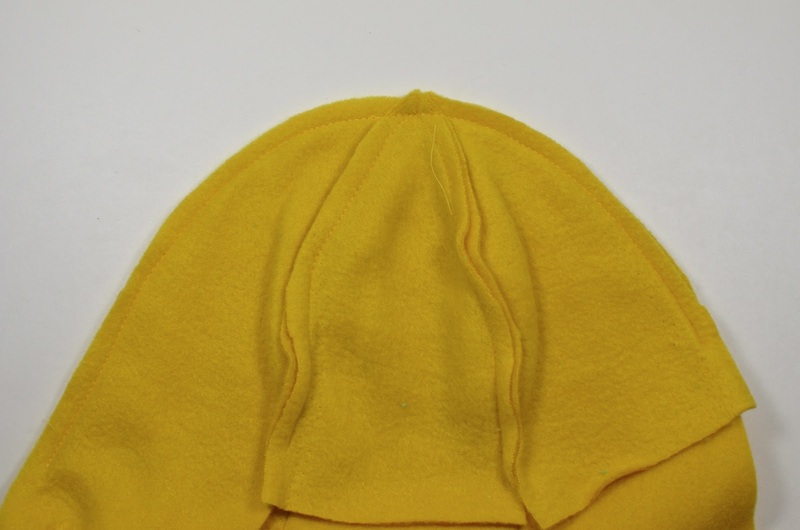 Here's what that seam looks like. And that was the sum total of all the sewing needed! Now it gets braided. 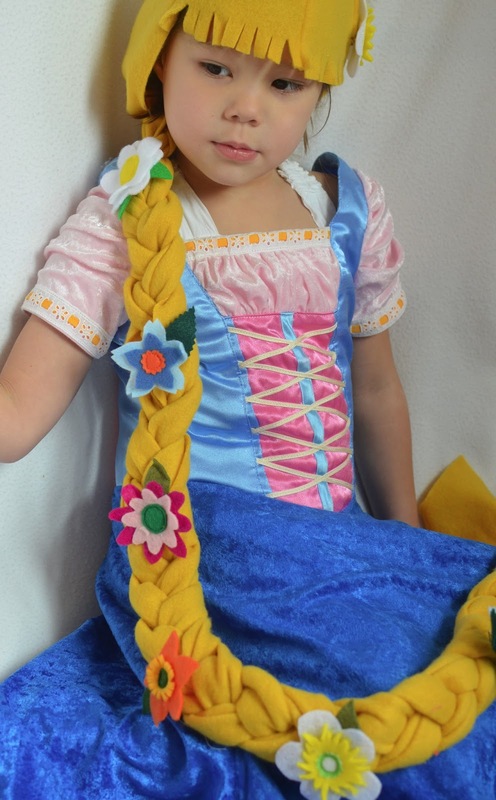 It's actually easiest if you have your kid wear the wig now and braid it while it's on her head. Note that I used three long panels (and that shorter amputated-looking one) because most people know how to braid three strands. 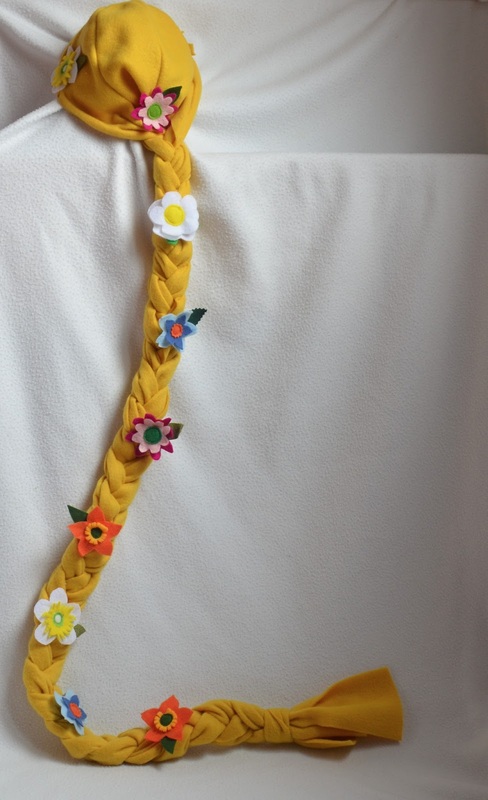 I've made this with four long panels and it made a thick, gorgeous braid, so you can do that, too. The numbers show the sequence of layering the panels to camouflage that short piece. As you braid, tuck that short piece back into the overlaps to hide it. The last step is to snip the bangs in the front short panels of the wig. All the previous wigs I've made were finished at this point because they were mass-produced for parties and last-minute gifts and I didn't want to take the time to embellish them. This time, however, I made some pinnable flowers. They could be sewn on but let me tell you: your wig-wearers will, without exception, unbraid their wigs and run through the house with the long hair (all three strands of it) trailing behind them, singing, "When will my life beeeeeegiiiinnnnnn?" and then ask you to rebraid it for them. Best to have those flowers detachable. and glue a safety pin to their backs. and all down the braid. 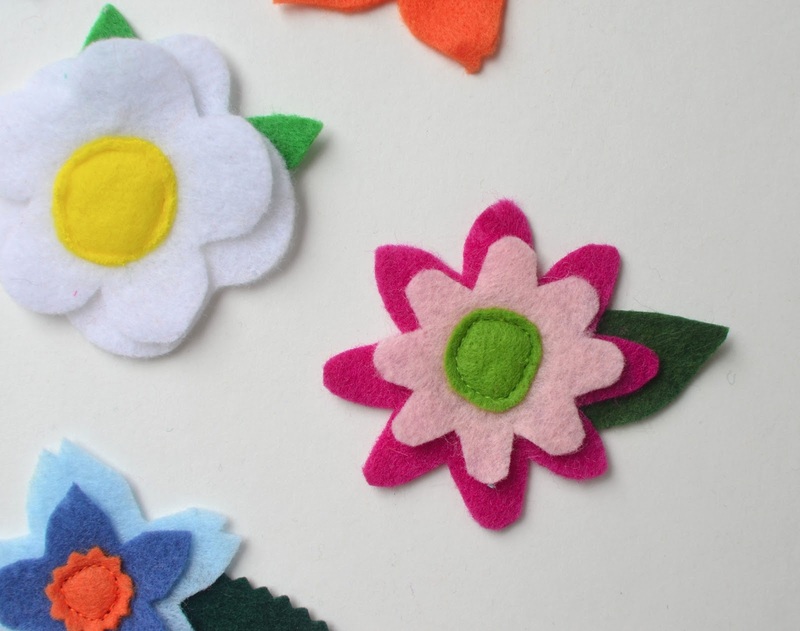 I had so much fun making them because I got to use up all my felt scraps! And Kate had fun modeling the wig for me. Also thought I'd organize the old blog a bit more and add two more labels to some of my posts. 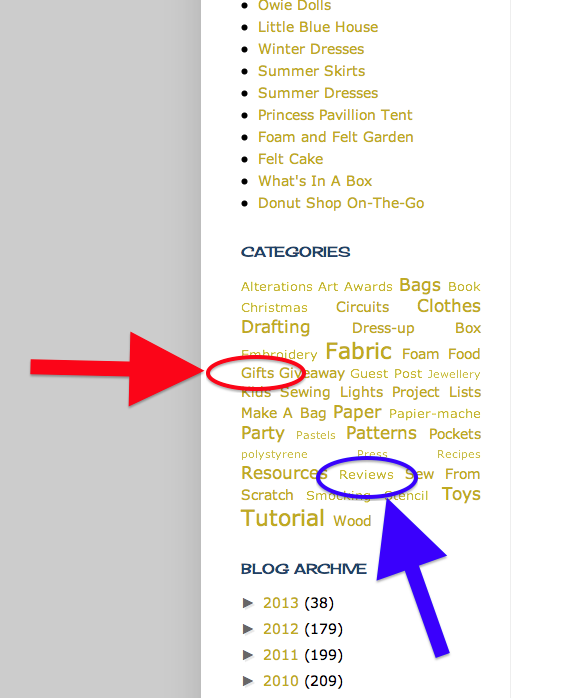 First is the Gifts label - if you want to access my handmade gifts (for kids, teachers, friends, mothers-in-law, mothers, fathers-in-law, fathers, husband, etc), just click on the Gifts label in the category cloud in my sidebar. The second is the Reviews label. I don't review products as a habit but every now and then people will contact me and send me something and I am happy to review it for free. Incidentally, I have turned down products in the past because they were irrelevant (e.g. 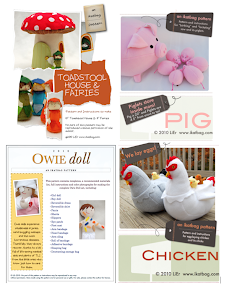 crochet books, scrapbooking software and other such stuff) to this blog. So don't everyone send me freebies just because you like how I review things, okay? They have to make sense and they have to be something I can actually say something nice about because I'm even slightly familiar with the subject matter. So anyway, in addition to the occasional product review, you can also find sewing and drafting book reviews and that infamous IKEA sewing machine review. Just click on the Reviews label in that same category cloud. Another kid gift coming up - see you back here soon! P.S. I'm done grouch-posting about the weather. What is the point? There's been an evil prophecy of snow all week so naturally today I wore a short-sleeved Tshirt, capris and flipflops and took the kids for their swim class. We do what we can to cope. I also bought 5 bars of chocolate. thank you! I can see a few of these in my future. Beautiful - what a lovely idea. (Pity my girls are all grown up now!) 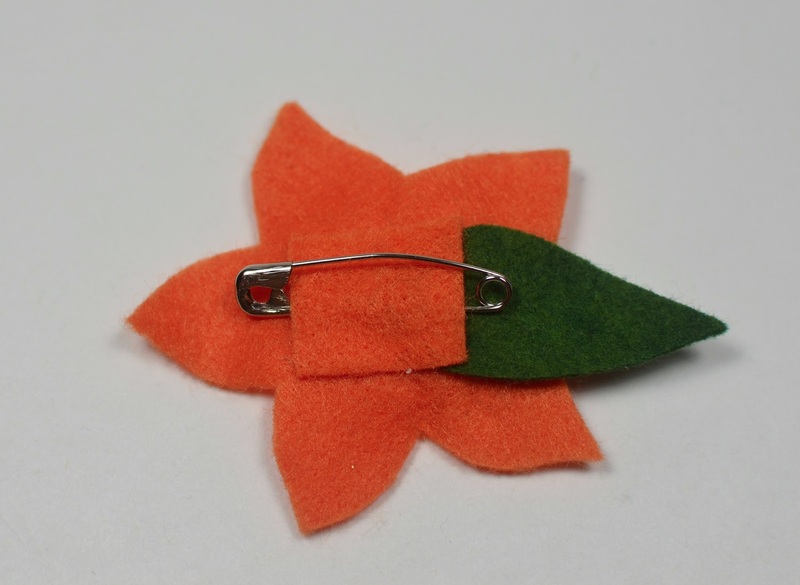 The little flowers with safety pins are a lovely touch. Thank you so much for this! I made one out of yarn for my daughter's sixth birthday and it hasn't held up. 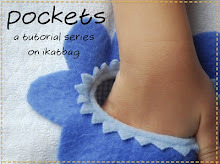 I'm going to use this tutorial for a re-do! 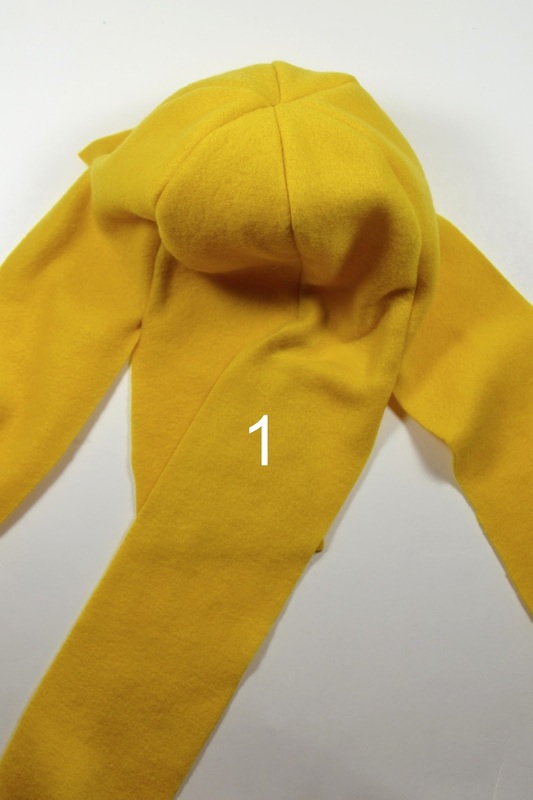 Ok, I have to say, I love this and will make it for my daughter. I LOVED Rapunzel when I was a kid. I desperately wanted long hair, however, I had very fine, thin hair that was slow to start growing so I had to improvise and wear a pair of pants on my head to live my dream. Wish my Mom could have made me this wig. Anyway, I'll be making it now for my daughter and I can live vicariously through her. 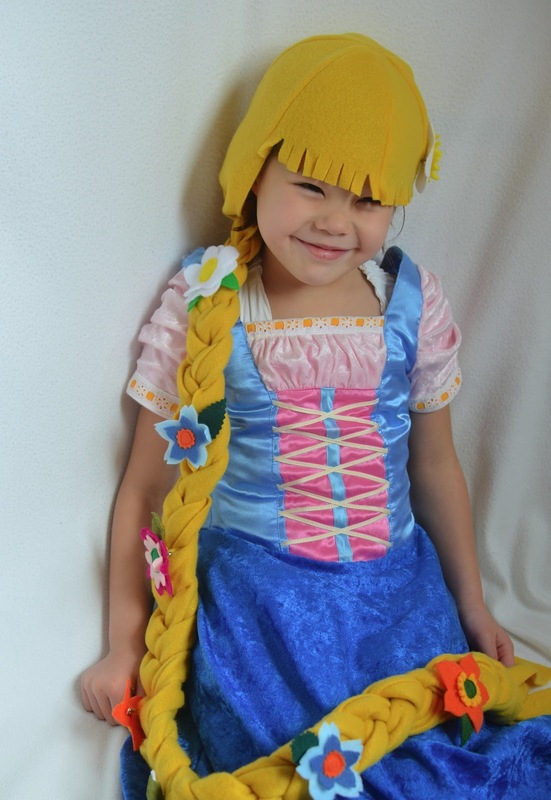 oh Lier, that is easily THE most awesome handmade wig I've ever seen.. so wish I can turn back time for when my daughter needed Rapunzel's wig for school book character day 3 years ago! I whipped up two of these wigs today for my girls. They were incredibly easy to make and my big girl has been wearing hers all day. It's taken me AGES to cut out all the bits for the flowers though. I have some fiddly sewing to finish tonight before the whole look is complete. My big girl was quite funny though - "Rapunzel doesn't have a fringe Mummy ... if she cuts her hair it will turn brown and won't be magic!". 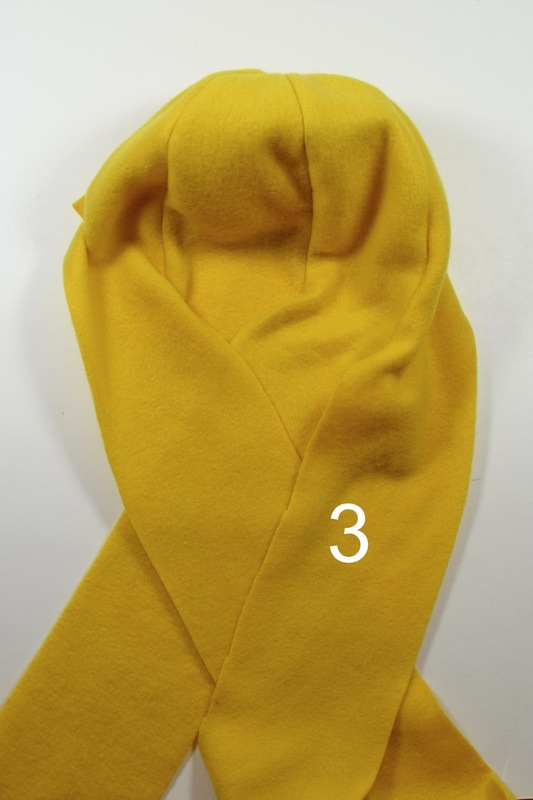 Hmm, might have a go at tweaking the pattern and see how it comes out. Thanks once again for your brilliant ideas. 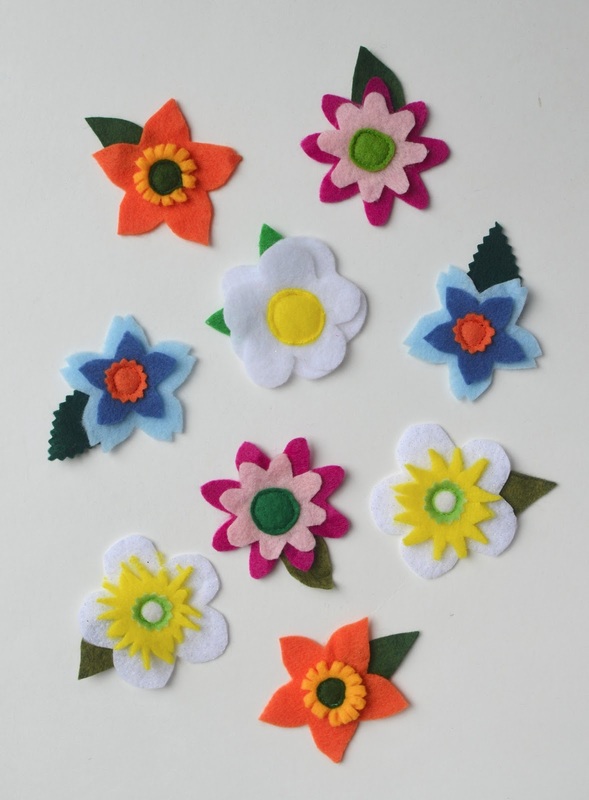 Katie - confession: so after I made the wig with the fashionable felt flowers, the girls asked me to make felt flowers for their wigs. 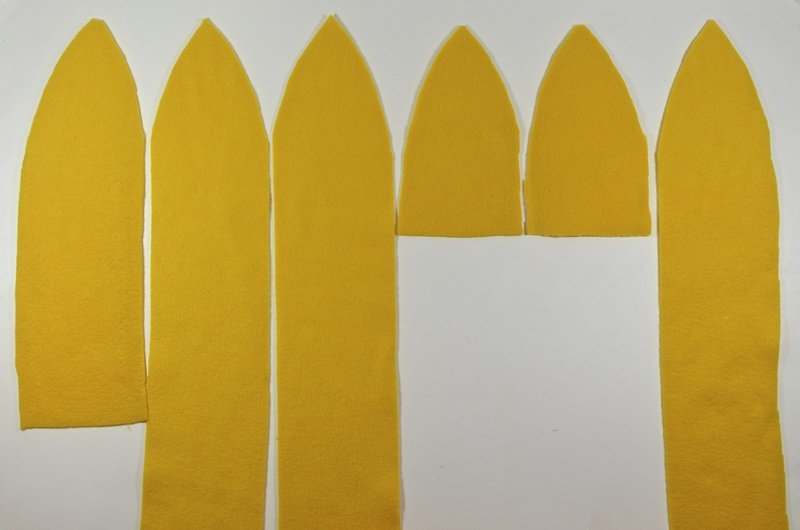 I hummed and hawed because they were a fair bit of work to cut out, as you said (the sewing and gluing are fast and fun). So I went to the craft store (ours is Michaels) and bought artificial blooms - the sorts whose blossom heads are detachable. The girls happily pretend-planted the bouquets, then pretend-harvested them, pulled the heads off and carted them around in a basket and decorated their wigs, then pulled the flowers off the wigs and put them back on the stems. "Just like in the movie, " they told me. So yeah, go buy plastic flowers if you're lazy like me! Anyone who makes things is hardly "lazy" You're just being efficient and prioritizing your efforts. Best craft ever! Wish me luck! Thanks a BUNCH for this tutorial! It was so easy. 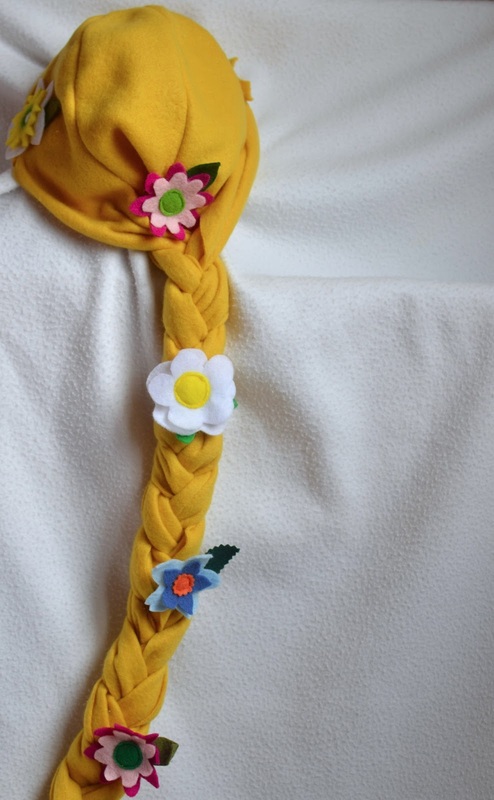 I made a queen Elsa wig, with white fabric, (in a sideways braid!) I love it, I want to attempt to make Ariel next =) THankyou thank you! I too just made Elsa wigs out of white! I was prepared to make Rapunzel, and had even found packages if colored premade felt flowers at michaels to use. Oh well! Brilliant... Thank you so much, my little girl who always screams that her hair are too short is happy now!